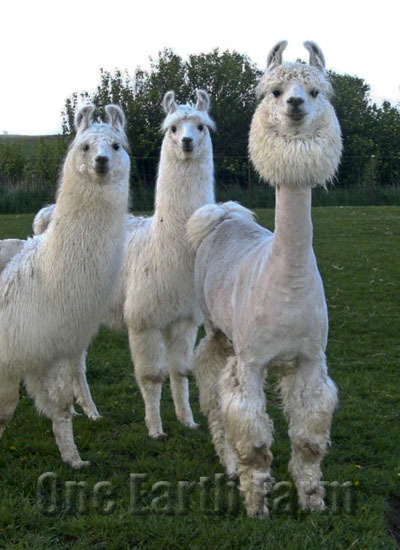 Llamas are one of the oldest of domesticated animals, far older than cattle or horses. They were bred for meat and wool, as well as for use as beasts of burdens. Their long and intimate association with man has shaped them into an animal that is easily managed and profoundly in sync with their human caretakers. With gentle honest handling, these highly intelligent animals are naturally trusting and forgiving, and can be trained to parade around in show rings, compete in obstacle courses, retrieve Frisbees, or just about anything. 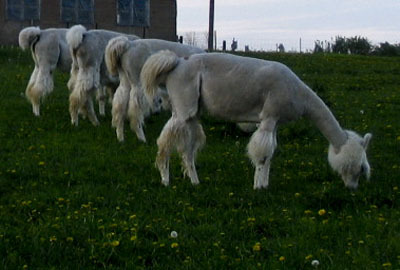 Unlike horses, goats, and cattle in which physical contact and pain - in the way of hoof, horn and tooth – is a natural component of herd communication, llamas do not respond well to heavy handed approaches to training. 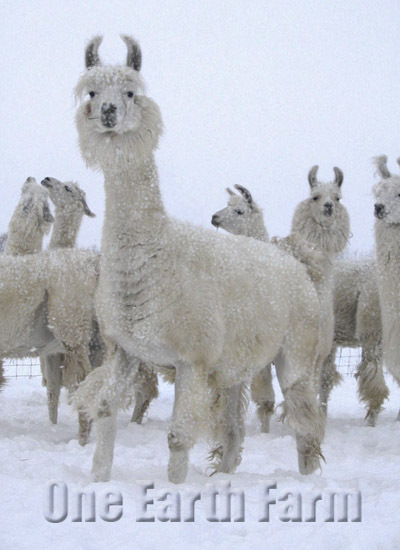 Here at One Earth Farm we are more ‘yoga instructor’ than ‘drill sergeant’ in our approach to handling and training, and as a result our llamas have rewarded us with a glimpse into their world – a world where peace and respect have not eroded under the deluge of cell phones and day planners. 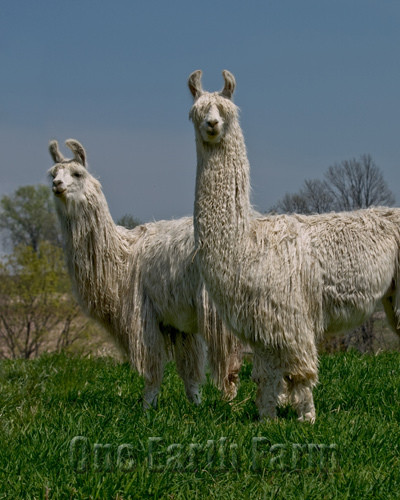 Llamas have proven to be a perfect fit for us here on the homestead - from their convenient and tidy communal dung piles which nourish our gardens, to their natural instinct to drive foxes and coyotes from the pastures where our chickens range far and wide. This species truly holds us in awe, and we wholeheartedly encourage anyone with ample land and a gentle hand to explore what future this species might hold for him.